Which of the following would be best to use for population growth with known upper limit? 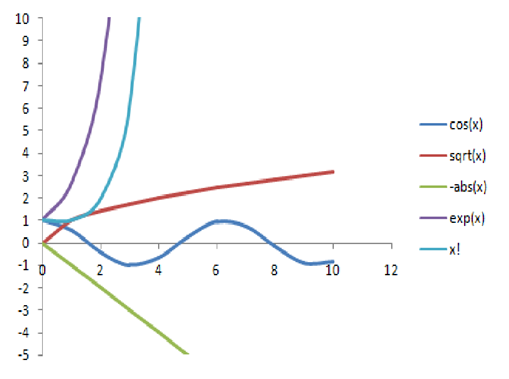 It’s commonly known that logarithmic growth and s-curves can be used to represent populations, but these aren’t the only functions. In our question we have two key features, population growth and an upper limit. We can quickly rule out choice D and E. They will not cap out, in fact they will grow even faster never reaching an upper limit. Choice C is the negative absolute value. This is not growing but decreasing. The cosine is also bounded by a certain amplitude, in this case it has an amplitude of 1. It is possible to use this function to model a bounded population, but the cosine function is a periodic function. This means there are places where the function grows and there are places where the function decreases. The square root, on the other hand, is always growing even when it reaches its upper limit. This makes the square root function, choice B, the correct answer.